Bob Jones the ball player or Bob Jones, your dad's bowling friend? 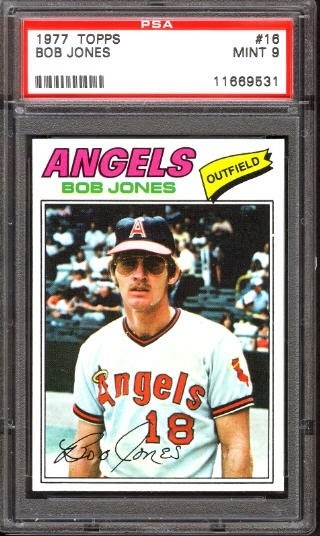 Bob Jones could be anyone at first glance, so it's worth reading more about Bob's backstory on 1986 Topps #142 post. He was drafted by Washington twice, first by the Senators in 1967 and then by the military brass for Vietnam service in 1969. 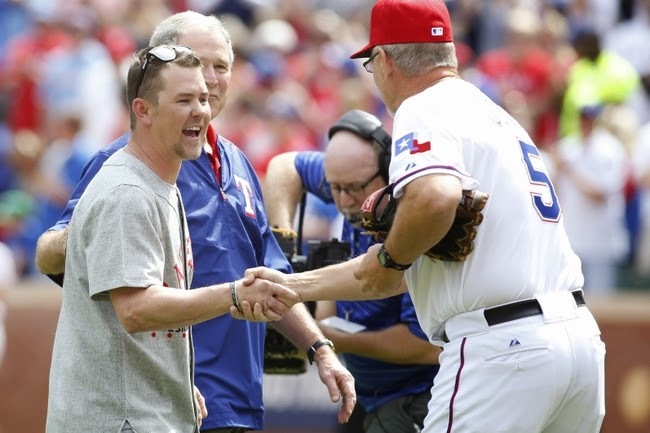 The combat left him deaf in one ear, but not dissuaded from his baseball career. Even a surfeit of sea foam green in Caruso's PCL team set couldn't hold him back. 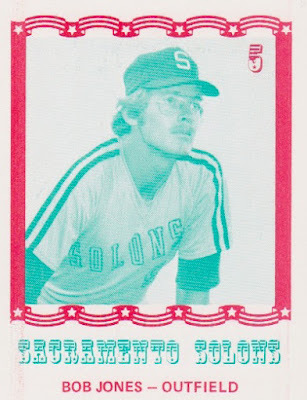 This bicentennial-themed Sacramento Solons #5 came after Bob's 1974 MLB debut, but before his 1977 Topps #16 rookie card. Bob swung a good stick in just 26 games for Sacramento in 1976, slugging 10 homers and notching a 1.193 OPS, so they must've missed him when California called him up for half a season in halos. 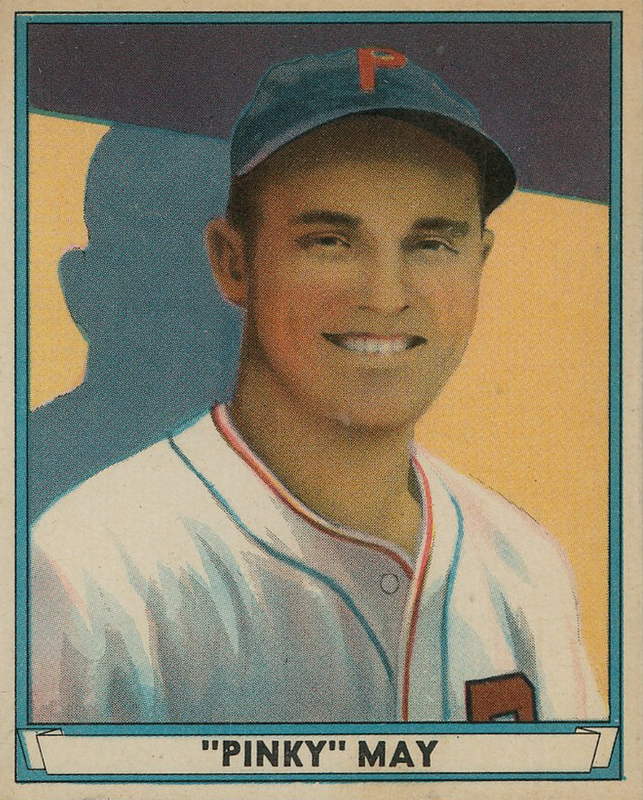 Bob flashed occasional power but low average in several seasons as a reserve outfielder, so didn't enjoy everyday duty until he switched to coaching. He's served that capacity in the Texas organization since 1988, with more than 1500 wins under his managerial belt and several tours as MLB base or position coach. Value: 1970s Caruso singles cost a few dollars or $15-25 for the team set, assuming no future stars lurk within its checklist. Perfect game hurler Len Barker is the biggest name I recognize from this Solon set's checklist, so it won't break your bank. Guys with big-league experience in bold. Fakes / reprints: Haven't seen any Caruso fakes or reprints in the marketplace, though it'd be easy enough to do.